City Owl Press, 9781944728687, 276pp. Faline Frey is a bounty-hunter, more comfortable relying on perp files and handcuffs than using her huldra powers to take down a suspect. 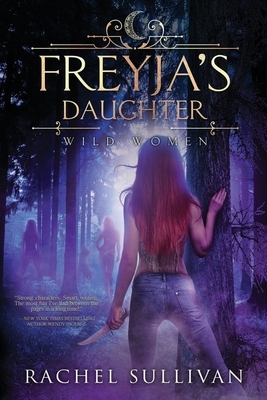 No sense in catching the unwanted attention of her local Hunter authority, a group of holy soldiers born to police the supernatural and keep Wild Women--huldras, mermaids, succubi, rusalki and harpies--in check. Now her sister is missing, along with Wild Women from all over the country. The Hunters are on her tail and the one person offering to help is her ex-lover, Officer Marcus Garcia, who has just enough ties to the supernatural world. To unite her enemies against their common foe, Faline will need to convince the Wild Women to do the one thing she fears most--exhume their power buried deep beneath centuries of oppression. That is, if she can keep them from killing each other. A: I write because I'm compelled to create worlds and stories that introduce new kinds of archetypes, men and woman who defy their gender roles to be their authentic selves. I write with the hope that my readers will come away feeling a new sense of empowerment and self worth. A: I write adult and young adult novels featuring empowered anti-heroines, usually in a paranormal or urban fantasy setting. A: My books are crafted with care to think outside the box of societal norms to include history and "herstory" as well as marginalized people, because to me, a tapestry woven with unique and different fabrics is the most beautiful sight to behold.